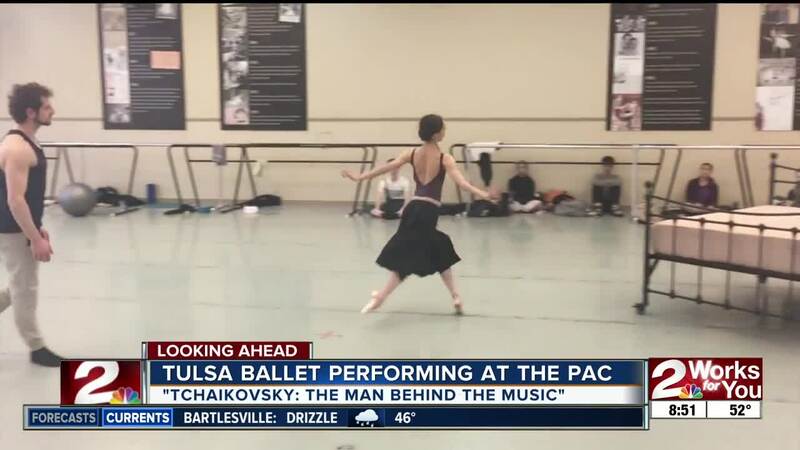 Preview of Tulsa Ballet's "Tchaikovsky: The Man Behind the Music"
The Tulsa Ballet will be performing a unique show "Tchaikovsky: The Man Behind the Music" next weekend. The ballet's choreographer, Ma Cong, stopped by our 2 Works for You morning weekend newscast to preview the performance. TULSA, Okla. — The Tulsa Ballet will be performing a unique show "Tchaikovsky: The Man Behind the Music" next weekend. The ballet's choreographer, Ma Cong, stopped by our 2 Works for You morning weekend newscast to preview the performance. Tickets start at $25 for March 29-31 performances at the Tulsa Performing Arts Center.